Installing and maintaining an artificial sports surface such as a 3G pitch, acrylic surface or new tennis court is a significant investment. To ensure a sound return on that investment, exemplary planning, design, workmanship and aftercare are key – so its vital that you choose your sports pitch contractors with great care. One way to assure that quality is to look for membership of SAPCA – the organisation that sets the national standard for sports pitch construction in the UK. 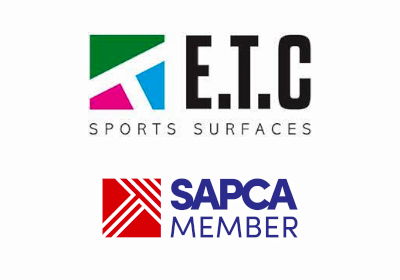 ETC Sports Surfaces has been a member of SAPCA for many years. We’re delighted to announce that we have just renewed our membership, maintaining our status as a leading provider of artificial pitches, ball courts, MUGAs and more. We know that our clients are consistently delighted with our sports pitch construction and maintenance services – they return to us time and again because they trust us to deliver the highest quality results. But we also believe it’s vital for customers to have extra reassurance on our working standards – which is why, as well as upholding our membership with SAPCA, we are also members of the Considerate Contractors Scheme, as well as being accredited with CHAS and registered with ISO 9001. Why should sports pitch contractors belong to SAPCA? SAPCA sets the definitive standard for sports construction excellence in the UK by ensuring that every sports pitch construction project meets the customers’ expectations, is designed, built and maintained to last and delivers value for money. They achieve this by sharing best practice, promoting ethical and trustworthy working methods and ensuring safeguarding across all aspects of the sports surfaces industry. These are all priorities for ETC Sports Surfaces too: our thirty years’ experience tells us that upholding the highest reputational standards both on and off-site is vital for our business and our customers. Our ongoing membership of SAPCA plays a key role in that strategy, by ensuring that we remain at the forefront of technical advances in sports surface solutions, industry guidelines and working methods. Membership of SAPCA involves a rigorous series of checks, including passing their strict admission criteria, demonstrating the highest standards of sports pitch construction and meeting SAPCA’s code of professional conduct. We embrace these criteria because we know that they complement our own organisational standards, which are designed to ensure that every customer is totally satisfied with our service. 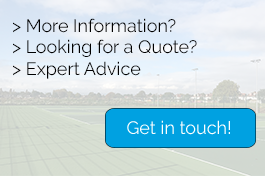 Can SAPCA help me find the right sports surface solutions? Put simply, the answer is yes: SAPCA exists not just to set standards for sports pitch contractors, but also to help customers choose the right solution, whatever their size or situation. They’re armed with tons of helpful information on every stage of installing artificial sports surfaces – from budgeting and securing funding to designing, building and maintaining your new pitch or surface. And, of course, when it comes to kicking your project into action, we’re standing by to get you started with a free site survey and consultation, equipping us to design and build the right solution for you! Visit the SAPCA website for information, advice and guidance. Ready to get started? Contact us for professional, friendly advice.